Since displaying my excitement about visiting one of my favorite weekend getaway spots in another thread was apparently misplaced, I figured I'd start a new thread to hear about other people's best places to visit. I searched for an existing thread, but couldn't find one. Where do you go to escape for a weekend? What do you do there? What places do you like to stay? Where do you eat and drink? One of our favorite places is Bellaire, MI and the Bellaire B&B ( http://www.bellairebandb.com ). The owners are fantastic, the rooms are awesome, there's a free wine social hour every evening at 5pm, and the breakfast has been superb every time we've gone. And, they offer half price rooms during April, so those weekends can fill up pretty fast. One of the owners is also a Master Gardener and does classes occasionally. There's another cool looking B&B in an old looking house and a cool old hotel right on the river a block from the "downtown". I don't know the names off the top of my head. There are also a number of great places to eat and drink. My favorite is Short's Brewing company, one of the best breweries in the Michigan, if not the Midwest, in my opinion. There's also Lulu's, an upscale bistro type place, a decent family style Italian place, and a steakhouse near a golf course, so there's some variety nearby. The B&B is a short walk from a park along the river and a nice little downtown area. There's also a few little shops and a 2 screen movie theater. Last summer, we visited a pretty good, relatively new cajun restaurant that I believe was in Elk Rapids. I can't remember the name though. It's pretty easy to make a day trip to Traverse City if you like, or hang around somewhere on Torch Lake. There are 3 other micro-breweries within an hour's drive if that's your thing. So, where does everyone else like to go? You mentioned it; Traverse City. Its easy to get to for a nice weekend. There are many wineries, great restaurants and have an excellent and walkable downtown. Not that I'd ever really go in the winter. But there always seems like there are plenty of things to do in the city. +1 for Bellaire B&B. Absolutely phenomenal atmosphere and service, and reasonably priced (from my limited B&B experience). Leelanau State Park is another one of my favorite hideout spots. 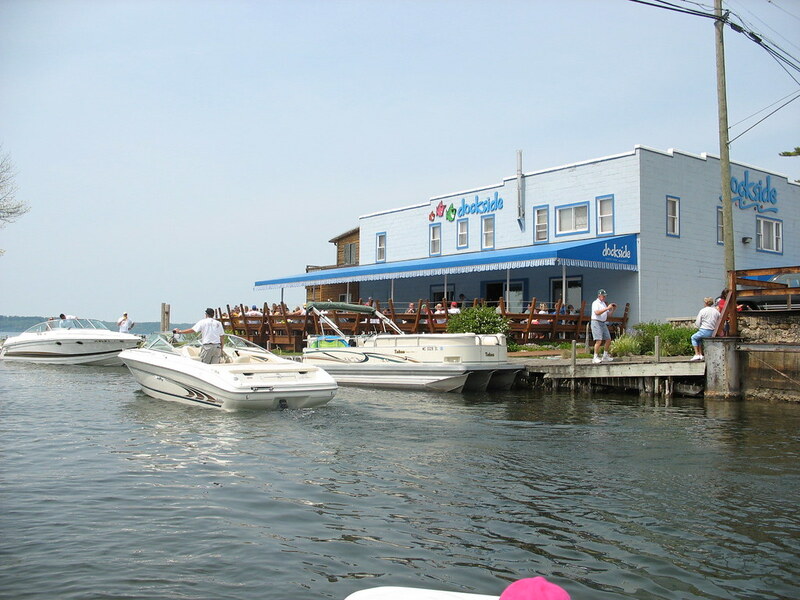 My wife and I are returning to Saugatuck again this year for Memorial Day weekend (our anniversary). Awesome food and drinks and plenty of little shops to occupy your day. The beach isn't too far either, thought its a heck of a walk. We drive down to Michigan City to take the commuter train and stay in cool hotels around the city. I love to see the shows, do some shopping and explore the cool neighborhoods. I'm not into the tourist stuff - instead we always try new restaurants and in the summer, try to catch a baseball game. I love big cities and Chicago is at the top of my list. * Leland, MI for the Annual Wine Festival - stayed in Sutton's Bay at the Vineyard Inn - incredible time. But my all-time favorite is at home watching my Tigers on the tube with a Bell's Two Hearted Ale in hand and the barbecue blazin' outside! GRDad, speaking of Torch Lake makes me sort of homesick! When I was young my folks would stay a hop-and-a-skip from Torch Lake on Clam Lake in a place called a "boatel". Boaters came for a week or two and put in at the boatel dock. That little area at Clam River/Clam Lake was kind of neat in its own right and you could go in any direction for tons of stuff to do. Hopefully, it is still as beautiful. We love, love, love to go to Bellaire. We stay at the Applesauce Inn Bed and Breakfast, just outside of Bellaire on M-88. It's a small bed and breakfast--wonderful owners, ambiance and food there. We enjoy eating at Gio's Trattoria Grille on M-88 approaching Bellaire. We've also enjoyed eating at Lulu's Bistro. Someone a few posts back mentioned the Cajun place in Elk Rapids--sounds like Pearl's New Orleans Kitchen. And yes, pr sc, I think I know exactly which boatel you're talking about. It's got to be the marina area on the North bank of the Clam River, just as you pass under the East Torch Lake Drive bridge over Clam River. You can even rent little mobile homes there in a parking lot and park your boats right out front. I don't know how long ago you were there, but does this place ring a bell? It got a new paint job a few years ago so it might look different. And yes, it's still clear, turquoise and windy. But I'm hijacking this thread pretty badly. Cool stuff - thanks, GRDad. I'm going to have to get out the photo album and check it out. The last time might have been 1989....long time ago. I didn't remember it being that close to the water but it did have a large deck like that. Thought I could remember some A-Frame cabins next door, also for rent. And the owner lived in a house kind of behind the boatel with a view of the boat landing. Thanks again for all of that. Well that's not a picture of the boatel, that's just Dockside, right at the mouth of the Clam River where it flows into Torch Lake. It seems like it's one of the most infamous places Up North (where pretty much everyone has heard of it/been there). The boatel is further down the Clam River about 1/4 mile (to the right in the photo).